As you can see, I have more releases then commits. A build was triggered by a commit, but this doesn’t explain why. I tried switching it up so it only builds when you put [build] in the commit message – which resulted in having to commit the yaml file as the feature isn’t available via the web interface, it does make sense to have this under version control. However it continued to loop. An email off to support resulted in speedy response. Add “skip_tags: true” to your appveyor.yml. I’m grateful I’m not paying per build! Hopefully this will serve as a warning for others. 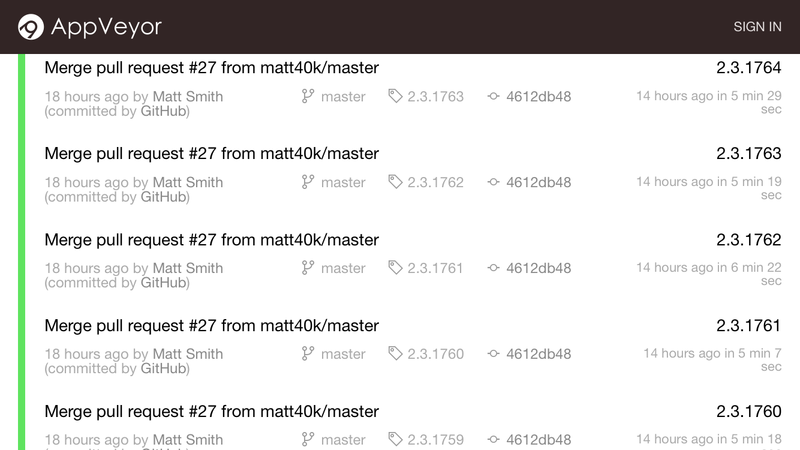 I’ve started to remove the releases but I’ve hit the API limit last night. Hopefully I’ll clean up my PowerShell script to deal with it, failing that I may have to rely on the kindnesses of GitHub human. 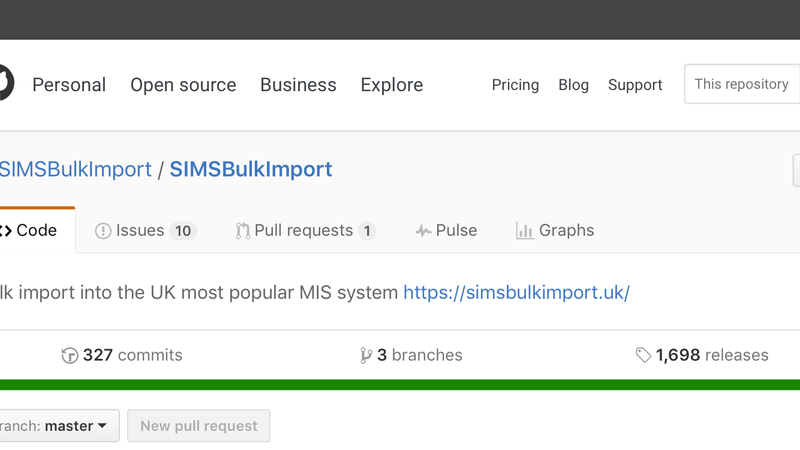 I’ve managed to remove the duff tags as well and SIMS Bulk Import is down to two releases on GitHub. I’ve been slightly heavy handed when it came to deleting. Thankfully all the duff releases where pre-release so the problem wasn’t as bad is it could have been.